Buying property in Spain can be a complicated and stressful process. The tabloids are full of negative stories about foreigners who have lost their savings on property abroad. However, every year, thousands of foreigners buy property in Spain. Many of these purchasers are very happy… but the tabloids don’t talk about them do they! – Traditional estate agents: These agents usually charge owners a sales fee and have the sellers interest at heart. – Buyer’s Agent or Property Finder: The best ones will find you the property you want and charge you for it up to 3% if it is in the Valencia Region. If it is elsewhere the commission is paid by the seller or seller’s agent. 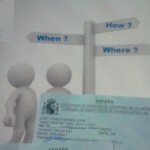 So what should you look for in a Professional Property Finder / Agent in Spain? Experience: Ask for testimonials and what previous experience they have. 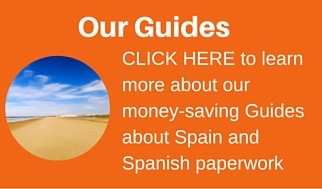 Knowledge of the Market: Ask the difficult questions about every aspect of living in Spain. If they cannot or will not answer then tell them to take a hike even if you really like a place because you will be able to get it elsewhere and probably at a better price. Language ability: How can you expect somebody who cannot communicate in Spanish to know about any problems and encumbrances that may be on the property? Employ an English speaking bi lingual agent to represent you as they will notice any problems during the purchasing process. Don’t fall for the hype. High pressure sales techniques are usually because of pressure to sell and a commission basis to wages. Remember you are paying a lot of money for this purchase and you should get it right first time. If you are taken to a load of rubbish first, out of your price range, not fulfilling minimum requirements etc do not be surprised. Spanish and foreign estate agents have long used this tactic to soften you up for the house they really want to sell you which will be the last one in the day. Work with your property finder and prepare the shortlists before you go. Try not to believe the “Another couple have just looked and are going to put a deposit down tomorrow” line. Sometimes it may be true, but 90% of the time it isn’t. Have a deposit ready so that you can secure a property at short notice. Having a cash deposit in hand is a good negotiating tool and shows a seller that you are a serious purchaser. Provided you have a good lawyer, this deposit will be 100% refundable should the chosen property not have all the correct licences and paperwork. Don’t worry about sleeping on it. Usually the property will still be available the next day, despite what the agent says. An early phone call the following day and quick payment of a small deposit will secure the place. But do work with your agent and communicate clearly. If the house is newly painted have a really good look for cracks or water damage. You know why. The Spanish do not usually present a house for sale and therefore if it is freshly painted then often the worst sins are possibly hidden. At least wallpaper hiding huge cracks is not a problem here. Go to the house again, either on your own or at another time of day to make sure you see it not just when the agent wants you there. A nearby working quarry or traffic jams outside your door may change your mind about a place. Equally it might make you more determined to get it as you can see it in the evening and notice the spectacular sunsets on the terrace and how quiet and peaceful everything is. Due to the high number of estate agents in Spain, it is common practice for agents to share properties. This basically means that you will very often find the same property advertised on several websites, often at different prices and with different information. When you contact an estate agent in Spain requesting information about a specific property, they proceed to list you as their client to protect their future business with you. Whether or not you ever actually meet up with this agent or even have any further contact with them, you will remain as their client in certain property databases. Why can this be a problem? In some situations, agents have been known to refuse property viewings on shared properties as a client appears to have registered with many agents which would result in sales commissions being split several ways. As a purchaser you may not be aware of this but as an agent it can be extremely frustrating. All in all, it means that you are not receiving the best service. Registering with our recommended property finder helps avoid this situation! How can we disentangle this maze? By registering with Family in Spain SL , we will ensure that you are assigned a professional property finder will look after all your property search requirements. As your representative, they will ensure that you receive the highest quality service before, during and after the property purchase process. Their trained customer service team will assist you with your search and will be at hand to offer back up support and deal with any issues that may arise along the way. The following paragraphs will give you some insider information on many issues you should consider when looking to successfully and painlessly (well almost!) 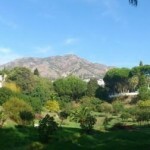 purchase a property in Spain. Do I need the Services of a Lawyer? Our answer to this question has always been “every time”. However, it must be said that if you are getting a mortgage it is less necessary because the bank will make sure that there are no problems on the property as they don’t want a worthless asset on their hands if they need to repossess. Any bank supplying a mortgage will do the conveyancing in the background for their own purposes. They will not tell you anything about it but be sure that it will be done. Cross check the above with the actual size of the house to look for extensions etc that have not been declared. Check for wills and others who may be contesting the right to sell the property. Obviously check that the person selling the house is the owner and has the right to do so. If they do not offer the above services, cannot speak your language and do not have good references then think again about using them. Should I give my lawyer Power of Attorney? A power of attorney is usually signed over all of your possessions in Spain so it is a very far reaching document. It is often open ended too so it is best to take a couple of precautions. Firstly, once the lawyer has done what he needs to do then take back their copy of the powers. Only original documents are accepted by notaries and therefore nothing can be done without your say so if you hold the original documents. However you should not revoke the powers as they may be useful in the future and what is the point of doing them again. Once you have a power of attorney then keep it but you hold the document. Powers of attorney can also be limited to acting on your behalf on a single issue. However these are very limited in scope and often present problems because they have been signed to buy a particular property with a reference number, catastral reference and address but if one detail is wrong on the documents, which quite often happens, then they are useless. The wider the scope of the powers the more useful they are long term. By taking basic precautions they cannot be abused. NOTE: When you have a good lawyer, giving them Power of Attorney can make the purchase process a lot easier and smoother! I have found a property I want to buy. So, what happens now? Once you have found a property you want to buy, the first step is to put in a verbal offer. If you are offering below the asking price, it is advisable to let your agent know how flexible your offer is as they can negotiate on your behalf. Remember, making a silly offer that is too low may jeopardise further negotiations. Once your offer has been verbally accepted, it is advisable to appoint a lawyer. Obtain a copy of the Nota Simple form the Property Registry Office. This document identifies the owner of the property and provides details of any outstanding mortgage or embargos on the property. Request receipts for IBI (impuestos sobre bienes inmeubles) payments which will show the valor catastral of the property. Your local taxes and annual property income tax are calculated on this rate. If the property is in an urbanisation or part of a community, ask the administrator or president for copies of charges paid. If the property is a new build, obtain a copy of the “declaracion de obra nueva” and, if applicable “declaracion de alteracion de bienes naturaleza urbana”.In order for the property to be taken off the market, you will be required to pay a small holding deposit (this amount is negotiable between agents). At this point, your lawyer will prepare a formal offer and agreement contract.Once the lawyer has conducted all the relevant searches on the property, usually around 2 weeks after the holding deposit has been paid, the exchange of private contracts (contrato privado) takes place. The private contract sets out terms and conditions of the sale, including the agreed price and a completion date. It is normal practice to pay 10% of the selling price at the time of signing this contract.Once this contract has been signed, by law, if the purchaser withdraws, any deposit paid is lost. It is also not unusual for clauses to be added to the private contract that should the seller withdraw, then twice the paid deposit should be paid to the purchaser. Ensure your legal representative explains these clauses to you.On the assigned day, the purchaser and seller (and/or their authorised representatives) are required to be present at the Notary office to sign the title deeds (escritura de compraventa) and if a mortgage is required, the bank manager will be present to also sign the mortgage deeds (escritura de hipoteca). The role of the notary is not to check the content of the deeds, but merely to confirm that all parties have agreed to them. For this reason, it is advisable to request a copy of the deeds before going to the notary and have them translated and explained to you. one important factor is that the deeds must state that the property is sold “free of charges, mortgages and tenants” (libre de cargas). Upon signing the deeds, the balance of payment is made and the purchaser takes possession of the property. This may appear a strange title for this final section yet the moment you hold the keys to your new property in Spain, you are at the beginning of a whole new journey. Now the fun with the utility companies begins: water, electric, gas, telephone and internet to name a few …. Do not despair, help is at hand (including your lawyers who often include these tasks in their fee!) . There are also many companies that offer assistance with these matters and we will be happy to provide details of companies in your area. Remember to follow our blog posts in the Property Category. We will keep you updated with news about living in Spain, Spanish property and essential information and procedures that will make your property search more enjoyable. So what are you waiting for? CONTACT US , tell us what you are looking for and leave the rest to us! We look forward to finding you your new home in Spain.